Treat your aches and pains with these simple, all-natural solutions for colds, minor burns, acne, and more. 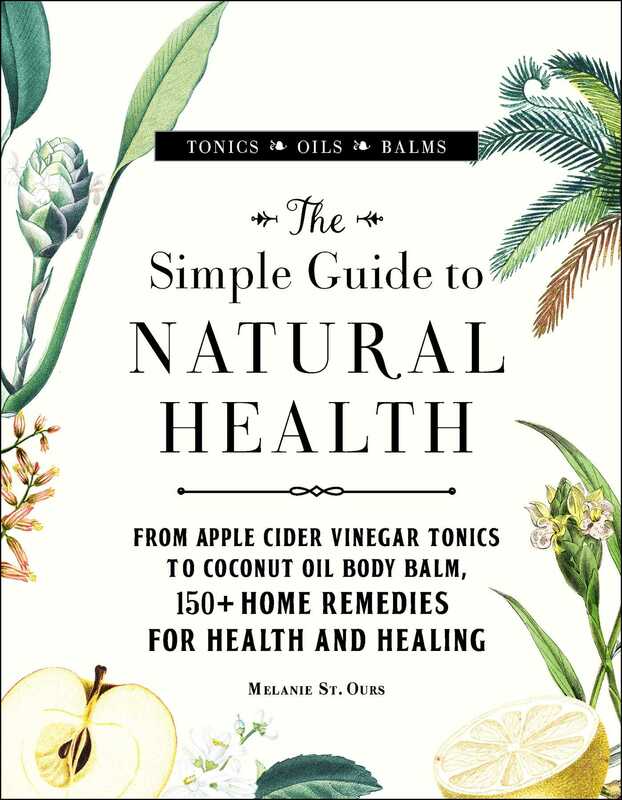 The Simple Guide to Natural Health provides the latest information on all-natural remedies, featuring ingredients such as apple cider vinegar, coconut oil, and various essential oils. With these do-it-yourself recipes that harness the power of natural healing, you’ll be able to treat—and prevent—common ailments. From how to grow and harvest your own ingredients to instructions for storing and organizing your homemade remedies, clinical herbalist Melanie St. Ours will take you step-by-step through the process of creating your own natural medicine cabinet. Melanie St. Ours is a clinical herbalist specializing in women's health and mental health. She is the founder of Psyche & Soma LLC, the home of her private herbal practice since 2012, and her writing has been published in the Journal of the American Herbalist's Guild, MindBodyGreen, and Elephant Journal. For more information and free resources, visit PsycheandSoma.com. "The Simple Guide to Natural Health covers an astonishing range, including cleaning solutions to use throughout the home, treatments and preventatives for all sorts of ailments, and recipes for probiotic and healing food. Whether you’re interested in trying a few simple remedies or immersing yourself in the world of herbal medicine, this book has what you need."